10.5?? Tender T005/2011 Cleaning of Council Buildings ???? 4??????? That following the election, the Mayor declares Cr? ?.elected as Deputy Mayor for the term of office expiring September 2012 or by the 2012 local government election, whichever occurs first. Note:? It is requested that the nomination be on the form especially designed for nomination purposes which is enclosed with the business paper (blue form). To recap, where there are only two candidates (remaining) with equal votes the one elected is the one chosen by lot.? By contrast, where there are three or more candidates and some are tied for lowest, the one excluded is the one chosen by lot. In 2010/2011 the elected members were Councillor Ballangarry OAM and Councillor Flack with Councillor South as an alternate delegate. 3??????? To consider issues of concern to the Aboriginal Community and to Council and to make recommendations thereon.? Such issues may include land claims and sacred sites. 5??????? To ensure that Council and the Aboriginal Community are kept informed of matters of importance to Aboriginal people in the Nambucca Shire and where necessary, provide advice on appropriate responses to those matters. 6??????? The Committee may consider any matters concerning government departments brought forward by a government officer or member of the Aboriginal Community Advisory Committee. In an advisory capacity, the meeting is attended by appropriate officers of Council (as are all Committees as required).? The elected member representatives have been Councillors Smyth and South. 11????? To encourage the involvement of people, health workers, Councillors, families and carers and other professionals and interested people to become involved in the Access Committee. The regional body works in conjunction with the Regional Arts Development Officer.? Councils are represented on the regional body?Arts Mid North Coast. The Committee formerly comprised two Councillors from each of the constituent councils.? Since the amalgamation of councils in the Clarence Valley, the Committee will comprise two representatives from that Council and Bellingen and Nambucca Shire Councils. Cr Moran OAM and Cr Smyth have been Council?s representatives on the Clarence Regional Library Committee with the Manager Community Services participating in an advisory capacity. That Cr Moran OAM and Cr Smyth be appointed to the Clarence Regional Library Committee with the Manager Community and Cultural Services to participate in an advisory capacity. Whilst this is technically not a committee of Council it is appropriate that Council?s representation be reviewed at this time.? As a partner to the Clarence Regional Library, Council obviously requires a say in its operations. That Councillor Flack and Councillor South be appointed as Council?s representatives on the Community Services Committee. The Community Services Committee?s purpose is to advise Council on the most effective means to meet the social needs, and promote the personal well-being of the residents of the Nambucca Shire local government area, thereby creating a sense of community and improving people?s quality of life. ?????????????? To advise Council on community services issues including those referred from Councillors, Council meetings, Council officers and the general public. ?????????????? To analyse, help develop and advise on policy in relation to resource planning issues and general socio-economic changes. ?????????????? To make recommendations regarding applications for grants for community services in the Nambucca Shire. The Committee?s brief is broad ranging covering the social aspects of the common approach to triple bottom line sustainable development (environment, social and economic). At Council?s meeting on 4 November 2010 it was resolved that all Councillors comprise the General Manager?s Performance Review Committee. The General Manager?s Performance Review Committee comprise all Councillors. The Department of Local Government recommend that a Committee be appointed to review the General Manager?s performance.? Council does not have to appoint a Committee and instead the review can be undertaken by the whole Council. In October 2007, the Department of Local Government issued Circular 07-52 dealing with performance guidelines for general managers.? The Circular may be viewed on the Department?s website www.dlg.nsw.gov.au. This year Mr Mark Anderson from the Local and Government and Shires Associations will be facilitating the General Manager?s performance reviews.? This is in accordance with the Circular?s recommendation that there be training in performance management.? The next performance review by the Committee will be October 2011. In the past there has not been universal agreement amongst Councillors as to the role of the General Purpose Committee.? It has a traditional role of undertaking on-site inspections which have been the subject of requests, complaints, or are planning matters. The Committee?s operations have not been exclusively concerned with works nor have they been exclusively concerned with inspections.? It has operated more as a general purpose committee. The Promoting Better Practice Review of Council?s operations recommended that Council consider the establishment of an internal audit function that might comprise a shared Internal Auditor and/or an Internal Audit Committee. Provision was made in Council?s budget for 2010/2011 for the employment of a contractor to undertake internal audit projects and it was resolved that Forsyths would provide this function for a three year period subject to the availability of funding. The inaugural meeting of the Nambucca Shire Council Internal Audit Committee was held on Tuesday 5 June 2011 at 2.00 pm in the Committee Room.? The next meeting of the Internal Audit Committee is scheduled for 29 November 2011 to coincide with another round of internal audit reviews.? Those reviews will be into development application processing and IT security. with Mr Paul Cornall from Forsyths (Council?s Auditors) the General Manager and Manager Financial Services to have observer status. Cr Moran has resigned from this Committee. The options are to have a Committee which comprises some, but not all, Councillors; to have no Committee or the recommendation for a Committee comprising all Councillors.?? Given the value of operational land in the property portfolio and its strategic importance to economic development it is recommended that there be a Committee. Given Cr Moran?s background in valuation and property it would be good if he rejoined the Committee, but the recommendation acknowledges his previous decision. At Council?s meeting on 2 October 2008 it was resolved that all Councillors be appointed to the Land Development Committee.? On 1 October 2009 it was resolved that the Committee meet at least quarterly. Council has an extensive property portfolio that comprises both operational and community land.? Council has also successfully undertaken entrepreneurial investment in industrial land as a means of encouraging new industry into the area. At Council?s meeting on 4 December 2008 it was resolved to reconvene the Macksville Saleyards Advisory Committee to determine mid to long term operational strategies for the Macksville Saleyards. Council?s Property Officer (advisory role), Mr George Hicks OAM, Mr Tom Stanton, Mr Michael Jones and Mr Rick Andrews. e???????????????? to report to Council on the consideration and recommendations of the Saleyard Advisory Working Group. At Council?s meeting on 7 October 2010 it was resolved that Councillor Ainsworth be appointed to the Nambucca Bushfire Management Committee. This Committee was formed in March 2007 and includes two Councillors with one of them to be the Chairperson.? At Council?s meeting on 7 October 2010 it was resolved that Councillors Ainsworth and Moran OAM be appointed to the Committee of Management. ?????? To review current management arrangements of the facility. ?????? To review the allocation of building space?office, storerooms and garaging. ?????? To identify deficiencies in the facility and to develop a forward plan of upgrades and modifications. ?????? To identify future needs that take into account growth in staff numbers, associated facilities and to prepare a forward plan of building extensions and/or replacement. ?????? To identify future funding needs and funding sources for maintenance and the implementation of the forward plans. ?????? 1 State Emergency Service Volunteer. At Council?s meeting on 7 October 2010 it was resolved that Councillors Ainsworth and Moran OAM be appointed to the Committee of Management. At Council?s meeting on 7 October 2010 it was resolved that the elected members be Councillor Smyth and Councillor Ballangarry OAM. That Councillor Smyth and Councillor Ballangarry OAM be appointed as Council?s delegates to the Nambucca Entertainment Centre Committee of Management. A single Councillor representative would suffice.? Council can elect to have two or more representatives if it wishes. At Council?s meeting on 7 October 2010 it was resolved that Cr Ainsworth be the Chairperson with Councillor Court as alternate delegate. Council can adopt the recommendation, change the committee structure, or abolish the committee.? These options apply to all Committees. a??????? Provide comment and input into the future management of Nambucca LGA?s river estuaries, coastal floodplains, coastal zone and flood risks. b??????? Review and comment on the various investigations and studies that are prepared to evaluate flood risk, coastal zone and estuarine management options. ii???????? deemed necessary to effect improved management of coastal and estuary systems prior to the development of such plans. d??????? Act as an conduit between the group/organisation they represent and the Council on coastal, estuary and flooding issues. e??????? Provide a forum for open discussion, debate and education on coast, estuary and flood issues. In order to deal with the large number and range of traffic matters effectively, the RTA has delegated certain aspects of the control of traffic on local roads to this Committee.? In the sense that Council does not control or determine recommendations from the Traffic Committee it is not a Committee of Council but rather a Committee which provides the RTA with local advice in relation to a range of matters. The Committee is composed of four formal members each with one vote.? These four members are a representative from Council, the NSW Police and the RTA and the Local State Member of Parliament or his/her nominee.? Council's representative and Chairperson is the Director Engineering Services.?? Former Councillor Barry Duffus continues to serve on the Committee as the representative of the Hon. Andrew Stoner MP.? It is anticipated that this arrangement will continue. At Council?s meeting on 7 October 2010 it was resolved that Cr Ainsworth and Council?s Noxious Weeds Inspector be appointed to the NSW North Coast Weed Advisory Committee with Councillor Court as alternate delegate. That Councillor Ainsworth and Council?s Noxious Weeds Inspector be appointed to the NSW North Coast Weed Advisory Committee with Councillor Court as the alternate delegate. The Committee meets quarterly in February, May, August and November.? Contact is generally made by electronic communication, with agenda papers sent two weeks prior to meetings and minutes of meetings made available as soon as practicable after the meetings. To educate, train and encourage persons and organisations in all matters relating to noxious and environmental weeds and their control. At Council?s meeting on 7 October 2010, it was resolved that the Plant Committee comprise Councillors Ainsworth, Finlayson, Moran OAM and South with the Mayor ex officio.? An Engineer, Mechanic, Overseer, and a representative of the Finance Section also attend to provide information and answer questions. The Committee can be reappointed, its membership changed or it can be discontinued.? These options exist for all of Council?s committees. At Council?s meeting on 7 October 2010 it was resolved that Councillors Ainsworth, Court, Flack and Moran OAM be appointed to the Vehicular Access to Beaches Committee with the Mayor as ex officio. At Council?s meeting on 7 October 2010 it was resolved that Councillors Ainsworth, Court, Flack and Moran OAM with the Mayor as ex officio be the designated Council representatives. The Committee comprises all Councillors, the General Manager, the Director Engineering Services; Manager Water and Sewerage; a representative of the NSW Office of Water; and the NSW Public Works Project Manager for the Bowraville off river water storage. The Committee was constituted to provide oversight for major water & sewerage capital works.? In the context of the planning work underway for Integrated Water Cycle Management Strategy; the off river water storage at Bowraville and the upgrade of the Nambucca Heads sewage treatment plant, this Committee has important responsibilities. 1??????? That Cr Ainsworth be Council?s representative on the Zone Liaison Committee (Rural Fire Service). 2??????? That the Director Engineering Services be appointed to the Zone Liaison Committee (Rural Fire Service). 1??????? That Councillor Ainsworth be Council?s representative to the (Lower North Coast) Zone Liaison Committee. 2??????? That Council appoint the General Manager to the (Lower North Coast) Zone Liaison Committee noting that it is intended to delegate this role to the Director Engineering Services. Council has many other Section 355 Committees managing Council facilities and also staging community events.? At Council?s meeting on 19 March 2009 it was resolved that a roster be developed for the attendance of either Councillors or the General Manager at the Annual General Meeting (AGM) of each facility or event Committee of Management. However, although Councillors may attend in an ex officio capacity they do not necessarily have a right to vote.? That right to vote attaches to their appointment as a representative or member or delegate as appropriate. At Council?s meeting on 19 March 2009 it was resolved that a roster be developed for the attendance of either Councillors or the General Manager at the AGM of each facility or event Committee of Management. Confirmation from DoPi (14/06/11) that this major Project will continue under Part 3A with the Department being the Consent Authority. Costings being prepared on a pressurised system so facts and figures will be discussed. IPR and reformatting of Management Plan remain priorities.? Have had to defer again to April 2011. Now May 2011.? Report presented to 21 July 2011 Council meeting. Report to 4 August 2011 Council meeting. GM to follow up with Committee of Management. Report to Council on 16 June 2011. Letter has now been sent to LPMA requesting that they make alternative arrangements for the management of the Reserve and suggesting a community based Trust.? MCCS to arrange an Inaugural Meeting.? Meeting has been arranged to discuss proposal with Coffs Harbour City Council on Monday 23 May 2011. Meeting held ? report to come to Council for future direction. Report to Council in May 2011.? Deferred as Section 94 officer has been on sick leave. Section 94 Officer has now resigned.? To be reported in August. Council write to the head of the local district of the RFS and request copies of annual reports of expenditure in this district for the past 5 years. Letters sent week ending 29 April 2011. Copy of response to followup letter provided to Councillors. Council ask the Minister to make an urgent determination as to whether the issues raised in the letters of complaint and public representations regarding the JRPP?s determination of DA 2010/234 provide grounds for the Minister to exercise his responsibilities under Section 7(f) of the EPA Act. Letter sent 26 May 2011. In progress ? report to October Council meeting. No response as at 26/07/2011. Council defer demolition of the old amenities at Coronation Park until 30 September 2011 to allow Trust to complete proposal to restore parts of the building. Report for Council in December 2011. Letter sent to Coronation Park Trust advising the Executive of Council?s resolution. Premier and Minister be advised of history of Coffs Coast Waste and Council request a contribution to its costs in varying the contract from the proceeds of the Waste Levy. Council receive a report on opportunities to improve the way Council manages native veg on native land including communication with contractors & Essential Energies including a report on work undertaken behind the Library. That the suggestions made by John Tait in the Public Forum be put up as discussion paper. Matters being reviewed for inclusion in a discussion paper.? To be included in IPR. That Council seek a proposal from Public Works to project manage the construction contract for the Off River Storage Project with a view to extending their engagement should the proposal be considered acceptable. Proposal being sourced from Public Works and will be reported to 14 September 2011 General Purpose Committee Meeting. That Council write to the Minister expressing Council?s disappointment that nowhere in the SESOne Plan is there an expressed desire let alone a requirement for financial efficiency or sustainability. The Saleyard Forum is being arrange for 5.30 pm on Monday 19 September 2011 in the Council Chambers. GM write to the Minister of Local Government for seeking dispensation for Councillors.? Letter sent? to DLG on 11 August 2011. .Letter sent 25 August 2011. Council make representations to the Hon. Andrew Stoner re the repair of the southern section of the Bellingen Road.? Council request that residents, NVT and the Bowraville Chamber make similar representations. Letters not written as at 24 August 2011. Council seek a formal quotation from the NSW Electoral Commission to conduct the 2012 elections and there be a further report to Council with a comparison of cost for council undertaking the election. There has been an exchange of correspondence with the Electoral Commission.? They refuse to provide a firm quote.? To be reported in October or when the LGSA confirms arrangements for a tender. Council write to the Prime Minister and others re a continuation and enhancement of the Roads to Recovery Program (R2R) on a permanent basis. Letter sent 7 September 2011. Report to October 2011 GPC. That Council defer the draft Lower Nambucca Flood Study Review to a GPC meeting for further consideration and ascertain the ARL of the existing caryard. Report in GPC 14 September 2011. Information being sought for presentation to future GPC meeting. The Minister for Planning and Infrastructure has provided an approval under Part 3A of the Environmental Planning and Assessment Act for the Warrell Creek to Urunga upgrade of the Pacific Highway (copy attached). The RTA and the Minister have accepted some of the issues raised in Council?s submissions on the Highway upgrade.? The RTA agreed to a peer review of the hydrological modelling.? The Minister has also imposed conditions on the Part 3A approval in relation to both flooding and noise impacts. Condition B8 requires the RTA to develop a Biodiversity Offset Strategy that identifies available options for offsetting the biodiversity impacts of the project in perpetuity, with consideration to OEH?s Principles for the Use of Biodiversity Offsets in NSW. It is proposed that Council?s Lower Nambucca land be offered to the RTA for their Biodiversity Offset Strategy in exchange for the RTA providing to Council the title to the North Macksville Soccer Fields and Casey Drive. 1??????? That the information on the Part 3A Approval for the Warrell Creek to Urunga Upgrade of the Pacific Highway be received. 2??????? That Council?s 8.9 hectares of high conservation value land in the Lower Nambucca be offered to the RTA for their Biodiversity Offset Strategy in exchange for the RTA providing to Council the title to the North Macksville Soccer Fields and Casey Drive. There are options in relation to whether Council wishes to seek a land swap as put forward in recommendation number 2.? The Council could follow a valuation process but would run the risk that Casey Drive and the Macksville soccer fields could have a higher valuation than the Lower Nambucca land with Council being obliged to fund the difference.? The reality is that both sites have significant constraints and a straight swap will advantage both parties and is in the public interest. The Department of Planning and Infrastructure has advised that the Minister has approved this project under Part 3A of the Environmental Planning and Assessment Act 1979. ???? Ancillary construction facilities, including compound sites, batching plant sites, and stockpile sites. The Department received 49 submissions during the exhibition of the Environmental Assessment.? Six submissions were from NSW government authorities, one from this Council, and 42 from the general public including three from local businesses or business groups. Council made 3 submissions on the environmental assessment which are attached.? The last submission was in response to an invitation to comment on the Road and Traffic Authority?s response to the submissions.? A copy of the Minister?s approval and the conditions of the approval are also attached. Page 188 of Volume 1 referred to the losses of endangered ecological communities representing a relatively small proportion of the total remaining area of each EEC on the ?Macleay Coastal Floodplain?. The response to the submissions prepared by the RTA advises that the reference was to the NSW landscapes dataset, not the physical extent of the Macleay River floodplain. The RTA provided additional details of road traffic noise and modelling results.? The Department is satisfied that the additional information satisfies the concerns raised by Council. The Part 3A approval contains important conditions C12 and E1 which requires the RTA to undertake operational noise monitoring to compare actual noise performance against the noise performance predicted in the review of noise mitigation measures and prepare an operational noise report to document this monitoring.? Council will have the option of obtaining an independent review by Heggies to ensure compliance with the provisions of this condition.? Condition E1 provides for the identification of any ?additional feasible and reasonable measures to those identified in the review of noise mitigation measures required by condition C12, that would be implemented with the objective of meeting the criteria outlined in the Environmental Criteria for Road Traffic Noise (EPA 1999) ?? ?Consideration of best practice taking into account the benefit of proposed measures and their technological and associated operational application in the NSW and Australian context.? Feasible relates to engineering considerations and what is practical to build.? Reasonable relates to the application of judgement in arriving at a decision, taking into account mitigation benefits and cost of mitigation versus benefits provided, community views and nature and extent of potential improvements.? Where requested by the Director General, the Proponent must provide evidence as to how feasible and reasonable measures were considered and taken into account.? Council sought a Peer Review of the original flood study contained in the Environmental Assessment.? This was agreed by the RTA and WMA Water subsequently undertook a peer review which found that the original assessment was generally robust and suitable for assessing the impacts of the proposal.? That assessment predicted an increase in flood levels at existing dwellings in Macksville by less than 20mm for the 100 year ARI flood event. The Department is satisfied that the flood modelling is appropriately robust and conservative for the purposes of assessing the impacts of the project.? However they have imposed Condition B11 requiring that the proponent undertake further flood modelling during detailed design to ensure that the Nambucca River crossing is designed and constructed with the aim of not exceeding the afflux and other flood characteristics predicted in the Environmental Assessment and Response to Submissions. Condition B13 requires the RTA to submit a hydrological mitigation report detailing all feasible and reasonable flood mitigation measures for all properties where flood impacts are predicted to increase as a result of the project.? This has to be done prior to commencement of construction.? Condition B14 requires that the RTA prepare a final schedule of, ?feasible and reasonable? flood mitigation measures proposed at each directly affected property in consultation with the property owner. Again there could be considerable discussion about what ?feasible and reasonable? means in the context of mitigating flooding impacts.? However, unlike noise impacts, condition B15 provides that a hydrological engineer employed by the RTA will advise and assist affected property owners in negotiating feasible and reasonable mitigation measures. The approval has accepted Council?s submission that a bridge be provided on the northern side of the river to connect to the higher ground along Old Coast Road.? This is condition A8. Council also resolved that the proposed Highway crossing of the Nambucca Valley have no affect on the flood levels upstream.? This requirement was not accepted, however as discussed above there is a requirement for further flood modelling during detailed design to ensure the design impacts are not exceeded. Council requested that in order to minimise social impacts that the project proceed as a single stage.? However condition A5 provides for staging. Amongst other matters, Council advised that for financial reasons it is unable to accept responsibility, either in whole or in part, for the existing Pacific Highway and the Macksville Bridge. In their response to the submissions, the RTA stated that it would meet all council owned utility relocation costs (except for any increases in capacity or size) affected by the proposed upgrade.? Regarding future use of the existing Pacific Highway and Macksville Bridge the RTA stated that there would be discussions with Council should the RTA reclassify the existing Pacific Highway.? The RTA advise that they will not compensate council for any losses of rateable land. Condition B8 requires the RTA to develop a Biodiversity Offset Strategy that identifies available options for offsetting the biodiversity impacts of the project in perpetuity, with consideration to OEH?s Principles for the Use of Biodiversity Offsets in NSW.? Unless otherwise agreed to by OEH, offsets have to be provided on a like for like basis and at a minimum ratio of 4:1 for areas of high conservation value and 2:1 for the remainder of native vegetation areas.? The Biodiversity Offset Strategy has to be submitted for approval no later than 6 weeks prior to the commencement of any construction that would result in the disturbance of any native vegetation. ?The study site was found to contain significant ecological features, most notably a high density of hollow bearing trees (a critical habitat component which is not as common in the adjacent State Forest) most on Lot 4, Potential Koala Habitat, and the EEC ? Swamp Sclerophyll Forest on Coastal Floodplains (depending on soils)? Due to its ecological values, the site is eligible and highly suitable for Biobanking for which credits could be sold or used by Council for another development.? Biobanking has the advantage of providing both an income and funds to undertake restoration actions to enhance the ecological values of the site?.?. There has been consultation with Council?s Property Officer. The approved 42 kilometre upgrade of the Pacific Highway between Warrell Creek and Urunga will have significant environmental impacts. The Pacific Highway upgrade will have significant social impacts, both positive and negative. The Pacific Highway upgrade will have significant economic impacts. There are significant risks in deferring the construction of the Highway. Council considered the Environmental Assessment for the proposed upgrading of the Pacific Highway?Warrell Creek to Urunga section at its General Purpose Committee meeting on 17 March and again at its Council meeting on 18 March 2010 and resolved to make the following submission. On the bottom of page 188 of Volume 1 of the Environmental Assessment it is stated that the losses of endangered ecological communities represent, ?a relatively small proportion of the total remaining area of each EEC on the Macleay Coastal Floodplain?.? The floodplain concerned is the Nambucca River Floodplain not the Macleay Floodplain which is approximately 50 kms to the south.? Therefore, it is impossible to determine the significance of the loss of endangered ecological communities. Council commissioned a peer review of the noise vibration assessment.? This peer review was undertaken by Acoustical Consultants, Heggies, and a copy of their report is enclosed. ??????????? That further details be provided regarding the identification of noise sensitive vacant land within the study area.? If noise sensitive vacant land is identified then an assessment of potential noise impacts is recommended at these locations. ??????????? That the predicted existing road traffic noise levels (for current year 2007) be provided within (or as an addendum to) the Noise and Vibration Impact Assessment Report. ??????????? That information be provided with regard to the level of noise reduction achieved by the low noise road surface and, in particular, what assumptions were made in the Road Traffic Noise model in this regard. ??????????? That the complete noise modelling results be presented for each scenario to have the benefit of providing the reader with greater confidence that the design criteria and allowances have been applied correctly.? This will also provide more clarity to the identified residents with regard to whether or not they will qualify for further noise mitigation investigation.? Alternatively, it may be more appropriate to provide the comprehensive noise modelling results at the detailed design stage when there is more certainty with regard to the final road design. A number of anomalies arise from the Flood Study which accompanies the Environmental Assessment and which are outlined as follows.? There is a difference in the existing 100 year ARI flood level at the site of the proposed new bridge over the Nambucca River between the existing Nambucca River Flood Study of approximately 3.4 m AHD and the approximate level of 3.77 m AHD in Clause 2.3.12 of the Flood Study. Therefore, there is a discrepancy of 370 mm in the 100 year ARI event without the new crossing of the Nambucca River Floodplain.? The Report states that this will further increase flooding by up to 40 mm. Council has used the 3.4 m AHD plus a 500 mm freeboard for all new dwellings in the flood areas.? The SKM Flood Model would reduce this freeboard by 410 mm before the impacts of climate change are taken into account. The Department of Planning is requested to engage an independent Flood Modelling expert to critically review the flood modelling and flood level predictions prepared by SKM.? The SKM Flood Study discusses the movement of flood water from the east through the flood plain (Gumma Swamp) and back to the west.? Yet the modelling figures clearly show that the proposed highway will act as a levy increasing the floodwaters on Macksville township by up to 40 mm whilst the eastern side of the proposed highway decreases by up to 20 mm.? Again, it is recommended that the Department of Planning engage an independent Flood Modelling expert to critically review this flood modelling and flood level predictions prepared by SKM so as to confirm the number of properties that will be affected by the identified increase in flood levels. ??????????? That the Department of Planning require the bridge option north of the Nambucca River (Option 2) as it has a lesser flood impact to the earth embankment (Option 1).? ??????????? b)??? The height of the roadway will be well clear of the estimated height of a 1 in ?? 100 year flood and the forecast 2050 sea level rise. In relation to point b) above the environmental assessment indicates that the proposal provides flood immunity for at least one highway carriageway for a 1 in 100 flood event.? However, the Environmental Assessment does not indicate whether this standard takes into account climate change.? If it doesn?t take into account climate change then a higher road surface level may require additional culvert capacity which can only reasonably be provided in the initial construction. Council is concerned to minimise the social impacts of the highway upgrade.? Much of the social impact arises from uncertainty in relation to the timing of property acquisition and construction.? The Environmental Assessment lists a number of possible staging opportunities.? In order to minimise the social impact of the highway upgrading, Council requests that the upgrade, at least between Warrell Creek and Ballards Road proceed as a single stage as soon as possible.? Otherwise, the uncertainty which is faced by many residents in relation as to when they will be forced from their land will be extended.? The other problem is that extended delays in construction may give rise to further design changes, delays, costs and uncertainty for residents.? This has already happened in Warrell Creek in relation to a previous highway upgrade proposal which did not proceed. The Environmental Assessment indicates there will be a number of impacts on Council?s utilities with a requirement for the adjustment or relocation of services.? The highway upgrade will also require connections to local roads with related infrastructure such as signage, guard rail and drainage.? The cost of all changes to Council owned infrastructure arising out the upgrading of the Pacific Highway, whether direct or indirect, should be met by the RTA and this should be a condition of any project approval.? It is presumed that at some point the RTA will endeavour to reclassify the existing Pacific Highway and the Macksville Bridge as a regional or local road.? Council has already been adversely impacted by the reclassification of the Bellingen Road from a regional road to a local road and is financially unable to accept responsibility, either in whole or in part, for the existing Pacific Highway and the Macksville Bridge. Council is also concerned about the loss of rateable land in the highway corridor and believes there should be consideration or compensation for the loss of this revenue. Council received the enclosed public submissions and it requests that the Department consider them in its assessment of the Environmental Assessment. You are advised that Nambucca Shire Council has further considered the environmental assessment for the upgrading of the Pacific Highway between Warrell Creek and Urunga and has resolved not accept the Environmental Assessment prepared by consultants SKM. 1??????? There is a difference in the existing 100 year ARI flood level at the site of the proposed new bridge over the Nambucca River between the existing Nambucca River Flood Study of approximately 3.4 m AHD and the approximate level of 3.77 m AHD in Clause 2.3.12 of the Flood Study. 2??????? Need to reconcile the increased AHD levels against the inundation maps as there does not appear to be much if any difference in area identified as being inundated, yet there is a 370mm difference on AHD levels at the proposed new bridge site ? How can this be? 3??????? Council has used the estimated AHD levels plus a 500 mm freeboard for all new dwellings in the flood areas. The SKM Flood Model would reduce this freeboard to only 130mm before the impacts of climate change are taken into account. 4??????? The inundation maps do not use AHD levels. 5??????? There is no identification of the specific number of additional properties to be inundated in and around Macksville due to the increased flood heights or impacts due to the proposed new bridge and Gumma Floodplain crossing. 7??????? The SKM Flood Study discusses the movement of flood water from the east through the flood plain (Gumma Swamp) and back to the west. Yet the modelling figures clearly show that the proposed highway will act as a levy increasing the floodwaters on Macksville township by up to 40 mm whilst the eastern side of the proposed highway decreases by up to 20 mm. How can this be? 8??????? The flood study provides two sets of independent figures (Figures A1-1,2&3 and A2-1,2&3) relating to the impact of flooding on the Nambucca River and on Warrell Creek but the Flood study does not show or address the impacts should the flooding of both occur at the same time and the flood waters from Warrell Creek flowing back into the Gumma wetland. 9??????? The Flood Study has shown the same image in Figure 2-6 and 2-8 yet they refer to the Upper Warrell Creek reporting locations and the Deep Creek hydraulic model extent respectively. ???????? That the Department of Planning require the bridge option north of the Nambucca River (Option 2) as it has a lesser flood impact to the earth embankment (Option 1). ????????? b?????? The height of the roadway will be well clear of the estimated height of a 1 in 100 year flood and the forecast 2050 sea level rise. In relation to point b) above the environmental assessment indicates that the proposal provides flood immunity for at least one highway carriageway for a 1 in 100 flood event. However, the Environmental Assessment does not indicate whether this standard takes into account climate change. If it doesn?t take into account climate change then a higher road surface level may require additional culvert capacity which can only reasonably be provided in the initial construction. Council would be pleased to receive your advice as to the action you propose to take in relation to these discrepancies. Thank you for your letter of 3 December 2010 seeking comment on the NSW Roads and Traffic Authority?s (RTA) response to submissions on or before Friday 17 December 2010.? You invite Council to provide further or updated comments on the proposal, or recommended conditions of approval. You are advised that Nambucca Shire Council has resolved that the proposed Highway crossing of the Nambucca Valley have no affect on the flood levels upstream and that the height of the roadway be well clear of the estimated 1:100 flood frequency level and the forecast 2050 sea level rise. As a consequence, it is recommended that a consent condition be imposed requiring the bridging of the whole Nambucca Valley flood plain with the road pavement level to be well clear of the estimated 1:100 year flood and the forecast 2050 sea level rise. In relation to noise, Council remains concerned about the use of architectural or ?on property? noise reduction treatments for individual receivers to meet noise criteria standards.? Council believes that property owners should have the option of selling their property under the Land Acquisition (Just Terms) Compensation Act if noise criteria cannot be met.? Property owners should not be burdened with the operating costs of noise reduction treatments such as air conditioning or suffer a loss of amenity by having to close windows. It is recommended that the Department of Planning impose a consent condition obligating the RTA to acquire property under the Land Acquisition (Just Terms) Compensation Act where noise monitoring post construction indicates that acceptable noise standards within the dwelling cannot be achieved and where the owner declines the offer of architectural treatment.? Thank you for this opportunity to provide a final comment. The purpose of this report is to present the proposals submitted in relation to the independent organisation review and to recommend the preferred provider for Council?s determination. Council can choose any one of the three proposals submitted. Alternatively, though not desirably, Council can opt to invite proposals from additional consultants, formally call tenders or not proceed with the review. On 14 July 2011, Council resolved ?that a review of the current organisation structure, particularly at the management and director levels, be undertaken as soon as possible by an independent organisation?. The Consultant?s Brief was determined on 18 August 2011 and, in response to Council?s invitation, proposals were submitted by three consultancies: Blackadder Associates Pty Limited, IAB Services and Local Government and Shires? Associations of NSW (LGSA). Those proposals have now been assessed and whilst Blackadder?s proposal was ranked the highest in terms of project methodology, a comparison of total consultancy days (Blackadder: 20; LGSA: 24) and quoted fees indicates the LGSA?s proposal is best value for money. Each proposal has been distributed to Councillors as a confidential circularised document. As Council is one of the major employers in the Valley, significant changes to the organisation structure may have adverse social consequences. As Council is one of the major employers in the Valley, significant changes to the organisation structure may have adverse economic consequences. Council must ensure that the review process as well as the implementation of any major changes emanating from the review, are conducted in a transparent, ethical and compassionate manner. This will demonstrate Council is an organisation with high standards and the ability to make improvements whilst still being a desirable place to work. If it doesn?t, Council risks damaging its reputation as an employer, as a civic leader and representative body amongst its constituents and also in the broader community.? This can have severe and long-term repercussions such as declining staff morale, inability to attract and retain quality staff, industrial action, hostile media, negative response/backlash from the public, poor relations with other councils and loss of standing with higher levels of government. Council?s decision to conduct the review is a pro-active move towards continuous improvement. The risk of not proceeding with the review is that Council?s objective ?to identify a structure which enables Council to fulfil its core functions as well as deliver services in the most efficient way? may not be met in the near future. No funding has been made for the funding of this consultancy. The September 2011 budget review will need to make provision for additional expenditure of $25000. There will be a negative impact on working funds of $25000. The report makes recommendations in relation to arrangements for the 2011-2012 Christmas/New Year period. 1??? That Council close the Administration Centre for the period Monday 26 December 2011 to Monday 2 January 2012 (inclusive) noting that emergency services will be on-call in regard to essential services. 2??? That Council conduct only one Ordinary Meeting of Council in January, being Thursday 19 January 2012 as well as the General Purpose Committee Meeting on Wednesday 18 January 2012. This year the gazetted public holidays fall on Sunday 25, Monday 26 and Tuesday 27 December 2011 and Sunday 1 and Monday 2 January 2012. It is therefore proposed to close the Administration Centre between Monday 26 December 2011 and Monday 2 January 2012, re-opening Tuesday 3 January 2012. Employees will be required to take paid leave for the shut down period. Staff, via the Consultative Committee, staff meetings and memos. With the non-replacement of Council?s Section 94 Planner the General Manager has requested that the Grants Officer assist with the completion of outstanding work in relation to Section 94. This report provides an update on the status of the Community Facilities and Open Space Contribution Plan, and puts forward a project for inclusion in a revised works schedule. 1.?????? That the Section 94 Status Report ? September 2011 be received. 2.?????? That contributory funding of $33,000 for a playground at Anderson Park, Valla Beach be ????????? added to the Works Schedule for the Community Facilities and Open Space Contribution ????????? Plan. 3.?????? That Council endorse the amended Works Schedule for the Community Facilities and Open ????????? Space Contribution plan as presented in the table in this report. To not approve the proposed addition to the works schedule of the Community Facilities and Open Space Contribution Plan. If this occurred, the required funds would need to be provided from another Council source due to commitments made to the project by Council staff. The Community Facilities and Open Space Contribution Plan has been adopted by Council previously. The works schedule contained in the plan is amended as projects in the schedule are completed and other projects come on line. The Local Rural Roads Contribution Plan is in preparation; all other Contribution Plans have been adopted and do not require amendment. 2????????? Access road improvements, Macksville Showground, $100,000. An application for improvements to the Scotts Head Boat Ramp has been made to the Better Boating Program for $47,743, which the Council would have to match. This estimate for construction is generous; it is not likely to require that level of funding and the completion of work is dependent on the sand moving away from the boat ramp. Currently, no work is required on the ramp as the sand has returned to the site. Work is progressing on the Macksville Showground road and a more accurate costing is expected to be confirmed in the near future once design work has been completed. Anderson Park Playground, Valla Beach $33,000 s.94 funds. A grant of $15,000 has been received, which the Valla Community Association has partly matched with a contribution of $12,000 and Council contributing $3000 to top up the matching funding. A shortfall in the project budget of $30,000 is proposed to be met with s.94 funding. Council has endorsed this expenditure of funds. Council has endorsed this expenditure of funds.? This project is dependent on grant funds and also sand moving away from the ramp. Subject to Council endorsing expenditure. Currently in budget for 2015/2016. Council would be asked to bring forward if matching grant funding is secured. Council has approved as part of Community? Facilities work schedule but is not currently in forward estimates. The exact level of funds in the Community Facilities budget will not be known until June budget estimates have been signed off by Council, but it is estimated by Council?s Accountant to be approximately $300,000. There is a deficit of about $150,000 in the works schedule, but as future increases in contribution cash flow occur through new development opportunities, coupled with the fact that two projects are likely to be deferred for three to four years, the deficit will disappear over time. Consultation was undertaken with the Council?s Accountant and General Manager. Section 94 plans form an important strategic planning tool for Council and provide longer term sustainability of infrastructure and facility delivery. Section 94 developer contributions represent a significant income stream for Council and provide for upgrading essential infrastructure to meet demands of a growing population. There are no additional costs to Council through the proposed amendments to the works schedule. The report acknowledges the Annual General Meeting of the Eungai District (Soldiers) Memorial Hall Committee of Management and the new Committee.? Copies of the Minutes of this meeting and the Financial Statement are attached. That Council endorse minutes of the Committee of Management for the Eungai District (Soldiers) Memorial Hall?s Annual General Meeting held on 16 August 2011, and thank the outgoing Committee for their work in the past twelve months. The AGM of the Eungai District (Soldiers) Memorial Hall Committee of Management was held on Tuesday 16 August 2011. In accordance with Council resolution from 15 May 2008 meeting, the development applications listed below are in excess of 12 months old (Table 1) (none are in excess of 12 months old). Second referral provided to Engineering Department to address drainage issues. Still awaiting flood study information from applicant. The applicant has advised the information will be submitted by 29 July 2011. Awaiting submission of outstanding issues to be addressed. 1????????? That Council note development application statistics and processing times for July 2011-June 2012 compared with July 2010-June 2011. 2????????? That Council note Occupational Certificate released for the years 2007 to 2011. 3????????? That Council note the statistical information for Applications and Certificates received by Council for 2007-2011. The figures show a -7.69% decrease in the number of DA?s received to August 2011 with construction costs decreasing by -31.47% compared to the same period in 2010/2011. The total number of DA?s/CD?s approved for the month of August was 16 plus 2 modifications. Roses Ice Cream Parlour & Caf? The following is the Contract Regulatory Officer?s Report for August 2011. The minutes of the Annual General Meeting and regular meeting of the Aboriginal Community Advisory Committee meeting held Tuesday 9 August 2011, are presented for Council?s endorsement and hold 4 recommendations for Council?s consideration. To recommend to Council that Mr Wayne Lowe, Manager Business Development, is to be congratulated and thanked for the tireless effort he has put into making the Nambucca Shire component of the World Rally as safe and successful as he can for the community. That the Committee recommend to Council the Aboriginal Community Advisory Committee host a 'themed' annual meeting targeting youth, prior to 2012 Youth Week, and liaise with the Council's Youth Development Officer, with the aim of encouraging youth involvement. Youth will be invited to an ordinary meeting in February 2012. That the Committee recommend to Council that an ACAC working group be established, consisting of Cr Flack, Patricia Walker, Marcia Hillery & Mardi Walker and any other interested ACAC members, to be the driving force to develop Aboriginal communications protocols and to finalise the MOU that came out of the workshops for the Aboriginal Culture & Heritage Management Plan. A date for the first working group meeting is to be confirmed by email.? The working group is to report back to the November ACAC meeting. That the Committee write to the Bowraville Local Aboriginal Lands Council and invite it to nominate a new representative to the ACAC. 1????????? That Council endorse the Minutes of the Annual General Meeting (AGM) of the Aboriginal Community Advisory Committee held 9 August 2011 noting the Committee?s election of a Chairperson, Vice Chairperson and Committee members. 2????????? That Mr Wayne Lowe, Manager Business Development, is to be congratulated and thanked for the tireless effort he has put into making the Nambucca Shire component of the World Rally as safe and successful as he can for the community. 3????????? That the Aboriginal Community Advisory Committee host a 'themed' annual meeting targeting youth, prior to 2012 Youth Week, and liaise with the Council's Youth Development Officer, with the aim of encouraging youth involvement. Youth will be invited to an ordinary meeting of this in February 2012. 4????????? That an ACAC working group be established, consisting of Cr Flack, Patricia Walker, Marcia Hillery & Mardi Walker and any other interested ACAC member, to be the driving force to develop Aboriginal communications protocols and to finalise the MOU that came out of the workshops for the Aboriginal Culture & Heritage Management Plan. A date for the first working group meeting is to be confirmed by email.? The working group is to report back to the November ACAC meeting. 5????????? That Council write to the Bowraville Local Aboriginal Lands Council and invite it to nominate a representative to the ACAC. 6????????? That all previous committee members, excluding members identified as being no longer available, be nominated pending the Aboriginal Community Development Officer seeking confirmation from each individual member. 7????????? That Council endorse the remainder of the minutes of the Minutes from the Nambucca Shire Aboriginal Community Advisory Committee held on 9 August 2011. Council's Aboriginal Community Development Officer, Patricia Walker, will only provide secretariat support and is not a voting member of the ACAC. Members who were not in attendance at the AGM have been posted correspondence in retaining their membership. Their response was required by Friday 26 August 2011. Mr Darren Kershaw did inform the committee that after this meeting, he will no longer be available, as he has accepted a position in Grafton. Minutes of discussion held Tuesday 19 July 2011 at Council's Administration Centre commencing 11:05 am. Meeting opened by Mr Darren Kershaw at 11:05 am. Housekeeping and emergency procedures were addressed. Apologies: Michele Donovan (CEO Unkya LALC), Marcia Hillery (Manager MiiMi Aboriginal Corporation. Declaration of Pecuniary Interest ? Non declared. That the minutes of the meeting held 16 November 2010 be confirmed. All members present agreed to defer the Annual General Meeting to Tuesday 9 August 2011 commencing at 10:00 am with an ordinary meeting to follow. NOTE: Members present are very concerned about the jeopardy of losing the Aboriginal Community Advisory Committee due to a lack of commitment and attendance. Members discussed agenda items for the next meeting. Tuesday 9 August 2011, Councils Administration Centre, Princess St Macksville, commencing at 10:00 am. With there being no more business, Mr Kershaw closed meeting at 11:35 am. Minutes of Previous AGM ? 12 May 2009? That the minutes of the previous Annual General Meeting 12 May 2009 be accepted and be endorsed by Council. There was no business arising. In absence of Mrs Cath Bula, there was no Chairperson's report. That Ms Marcia Hillery be nominated for Chairperson. That Ms Louise Robinson be nominated for Vice Chairperson. That Ms Mardi Walker be nominated as a committee member. That all previous committee members, excluding members identified as being no longer available, be nominated pending the Aboriginal Community Development Officer seeking confirmation from each individual member. With there being no further business, Cr Flack thanked the outgoing committee, congratulated the incoming committee and closed the meeting at 10:49 am. That the minutes of the meeting held on 19 July 2011 be accepted and recommended to Council for adoption. As Wayne Lowe was available to speak to Item 5.6 the Committee Agreed to move this item forward. That the Committee recommend to Council the Aboriginal Community Advisory Committee host a 'themed' annual meeting targeting youth, prior to 2012 Youth Week, and liaise with the Council's Youth Development Officer, with the aim of encouraging youth involvement. Youth will be invited to an ordinary meeting of this in February 2012. Mr Scott Mieni did not attend the meeting. This item is to be carried over to next meeting. That the Committee recommend to Council that an ACAC working group be established, consisting of Cr Flack, Patricia Walker, Marcia Hillery & Mardi Walker and any other interested ACAC member, to be the driving force to develop Aboriginal communications protocols and to finalise the MOU that came out of the workshops for the Aboriginal Culture & Heritage Management Plan.? A date for the first working group meeting is to be confirmed by email.? The working group is to report back to the November ACAC meeting. That the verbal report on the 2011 NAIDOC Week activities given by Louise Robinson be noted and the 2011 NAIDOC Week organisers be congratulated on the successful activities and ongoing outcomes achieved from the week of activities. That the Committee request Council write to the Bowraville Local Aboriginal Lands Council and invite it to nominate a new representative to the ACAC. The next meeting will be held on Tuesday 22 November 2011 commencing at 10:00 am. There being no further business the Chairperson closed the meeting the time being 12:40 pm.? Attached for Council?s consideration are the minutes of the Nambucca Shire Council Access Committee meeting held 26 July 2011. That Council note the date for Safe and Savvy Seniors Service Information Day as being on Tuesday 11 October 2011 at Macksville Senior Citizen?s Centre/Library area from 10.00 am ? 3.00 pm. That Council write a letter to the Bananacoast Credit Union Chief Executive Officer in support of the verbal requests from residents and Committee members regarding the need to remove the step at the ATM in Bowra St Nambucca Heads to allow for wheelchair access. That Council review the ?Application for an Event of Council Land? form to include the provision of accessible parking and accessible toilets as there is currently nothing on the form requiring attention to these matters. That Councillor delegates to the Access Committee take the matters of accessible parking and accessible toilets at the World Rally Championship to the briefing at the next Council General Purpose Committee. That Council write to Woolworths and the Nambucca Plaza to inform them that the Access Committee has received a number of reports relating to the misuse of their accessible parking sites, with a suggestion that they could enhance their signs to include the penalties for misuse of disability parking and a telephone number for people to report the misuse of these parking spaces. 1????????? That Council note that the Safe and Savvy Seniors Service Information Day will be Tuesday 11 October 2011 at Macksville Senior Citizen?s Centre/Library area from 10.00 am?3.00 pm. 2????????? That Council write a letter to the Bananacoast Credit Union Chief Executive Officer in support of the verbal requests from residents and Committee members regarding the need to remove the step at the ATM in Bowra St Nambucca Heads to allow for wheelchair access. 3????????? That Council review the ?Application for an Event of Council Land? form to include the provision of accessible parking as there is currently nothing on the form requiring attention to this matter. 4????????? That Council write to Woolworths and the Nambucca Plaza to inform them that the Access Committee has received a number of reports relating to the misuse of their accessible parking sites, with a suggestion that they could enhance their signs to include the penalties for misuse of disability parking and a telephone number for people to report the misuse of these parking spaces. 5????????? That the remainder of the Minutes if the Access Committee held 26 July 2011 be endorsed. Council may recall from previous Access Committee minutes that Nambucca Shire Council is hosting a Service Information Day on Tuesday 11 October 2011 as part of the Safe and Savvy Seniors (SASS) project. The planning and preparations for the event are moving along well, with great interest and support from the community. The SASS Information Day will held at the Seniors Citizens Centre, the Library and will utilise the surrounding grass area. The project which is funded by the Attorney Generals Department has delivered many workshops to seniors over the past year and the day is an opportunity to bring together many of these aspects and provide seniors with information on the range of services available in the local area. This initiative is supported by the Nambucca Shire Council Access Committee and responds to one of the recommendations from the Nambucca Shire Council Seniors Forum held in March 2011 - which is to have more service information readily available to seniors in the community. The day is free for all community members to attend and there is no cost for service providers to set up information stalls. Over 30 organisations from across the health and community care sector have expressed their interest to participate in the day. The NSW Police, Fire and Rescue and Rural Fire Service and a smaller number of social groups will also participate in the event. At this point the day is planned to include 25 information stalls, and 12 speakers, presentations and demonstrations. The SASS Project Officer has submitted the required Nambucca Shire Council Special Events Application Form which includes a site plan, risk assessment and program of activities. In September the focus will be on promoting the event through a number of avenues and refining some of the event details. It is definitely gearing up to a fun, interactive and informative day for seniors in our Shire. The Access Committee feels that a letter expressing their support for the removal of the step might assist the BCU to determine a priority for this work. Section 2.4 of the Guidelines addresses the need for disability toilets, however there are no guidelines or requirements for provision of disability parking at events on Council land. Given that the briefing with Council has now passed, the Committee?s recommendation is not being put forward via this report, further, it is understood that the matters of disability parking and accessible toilets have been addressed via other opportunities and meetings. Whilst Council does not have a regulatory role regarding the use of these spaces as they are on private property, the Access Committee wishes to advocate for their correct usage. The Committee suggests that more specific signage at these sites may reduce the number of people who casually use the disability parking sometimes without being aware of the consequences to themselves via a hefty fine or to people with disabilities who require these spaces to go about their business. The NSW Roads and Traffic Authority has taken a very clear stand on this issue by setting up a hot line for people to report misuse of disability parking and by circulating a brochure which individuals can use themselves. Copies of the brochure have been received by Council and can be made available to the Plaza and Woolworth?s management. Additional information is contained in the minutes. Improved social well-being for seniors underpins the Safe and Savvy Seniors project and the October Information Day. The Safe and Savvy Seniors, Make Sure You?re Secure grant from the Attorney General?s Department is providing the funding for the Seniors Information Day. No funding from Council is required. That the minutes of the previous meeting held 24 May 2011 be confirmed and their endorsement by Council at its meeting of 16 June 2011 be noted. 3??????? That a request for reinstatement of the ticketed queuing system at the RTA in Nambucca Heads has been submitted and an acknowledgement received, however there has been no response to date and the system has still not been reinstated. That Council write a letter to the Bananacoast Credit Union Chief Executive Officer in support of the verbal requests from residents and Committee members regarding the need to remove the step at the ATM in Bowra St Nambucca Heads to allow for wheelchair access.? That Council review the ?Application fro an Event of Council Land? form to include the provision of accessible parking and accessible toilets as there is currently nothing on the form requiring attention to these matters. That the items of correspondence and related actions be noted. 1?????? 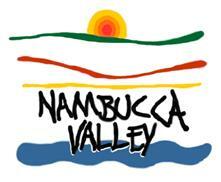 The Nambucca Council website has an ?enlarge print? that is not working effectively on very large magnification.?? Members to examine the website and discuss at the next meeting. 2?????? Pedestrian crossings in Wallace Street Macksville are poorly lit ? for further discussion following confirmation of the crossings? status (ie ?school? versus ?zebra?). 3?????? Cr Smyth reported on a presentation at a recent conference on ?Whole of Life? planning, the? concept of ?visitability?, house-ettes, and landscape designs where streets are not just for cars. 4?????? Toilet doors ? requirements for inward/outward opening and the impact on available space. 5?????? Lighting in the vicinity of Nambucca Heads Primary School. 6???? Chairperson, Pete Shales advised that he will be stepping down from the position (but staying as a Committee member) due to his need to be on-call during meeting times.? For appropriate action at the next meeting. The next meeting will be held on Tuesday, 23 August commencing at 2:00 pm. There being no further business the Chairperson then closed the meeting the time being 3.45 pm. Attached for Council?s consideration are the minutes of the Nambucca Shire Council Access Committee meeting held 23 August 2011. 1????????? That the need for increased lighting on the Wallace Street Pedestrian Crossings be referred to the Council Engineers for assessment. 2????????? That Council Engineers investigate options for the gap between the footpath and the blister at the pedestrian refuge in Wallace Street, Macksville. 3????????? That Cr Elaine South be elected as the new Chairperson of the Nambucca Access Committee. 2????????? That Council Engineers investigate options for the gaps between the footpath and the blisters at the pedestrian refuge in Wallace Street, Macksville. 3????????? That Council note the election of Cr Elaine South as Chairperson of the Nambucca Shire Council Access Committee following Peter Shales resignation from the position due to his need to be on-call with the SES during meetings.? 4????????? That the remaining minutes be noted. There are 2 crossings, both outside schools ? at St Patricks and Macksville Primary.? These crossings are marked zebra crossings and are therefore used by people at all hours.? A member?s report has brought this to the Committee attention following driving along this street at night. A member with a vision impairment has reported to Council an incident where he fell over the blisters and has asked if the area could be looked at to address the gaps and trips.? A business in the vicinity has witnessed a similar incident although this was not reported to Council.? The Committee is requesting that the Engineers make an assessment of the area.? Chairperson ? As neither Chairperson, Peter Shales, nor Deputy Chairperson, Shirley Holmes, were present today, Cr South was nominated and elected as acting Chairperson for today?s meeting. That the Minutes of the Meeting held 26 July 2011 be confirmed. A letter was received regarding the RTA Ticketing Queuing system. The Committee members will monitor how well the centre is taking into account those with additional needs. Members will also keep in contact with Customer Service Centre Manager regarding the issue. 27 organisations have responded so far and she is now preparing for promoting the event. Various options are being looked into regarding the taxi rank. Need for lighting was discussed. Refer to engineers. Committee members were given brochures regarding the Mobility Parking Scheme. Discussion on the need to reformat the website to enable the enlarged font feature to work correctly. Can open either way depending on space. Committee is awaiting further confirmation of standards. That the need for increased lighting on the Wallace Street Pedestrian Crossings be referred to the Council Engineers for assessment. The matters arising from the previous minutes were noted. The item of correspondence was noted. Committee noted that Peter Shales had stepped down from his role as Chairperson and elections were held for a new Chairperson. The Laneway between Sturdee and Jellico Streets, has a drain that is in disrepair ? it is slippery and has water lying around. Has been reported to Council. The pavers in front of the Council chambers has a lip that could be a trip hazard. It has been reported to Council. The Wallace Street crossing has a gap between the footpath and the blister leading to the refuge/crossing. People could fall down the gap, thinking it was covered. That Cr Elaine South be elected as the new Chairperson of the Nambucca Access Committee. That Council Engineers investigate options for the gap between the footpath and the blister at the pedestrian refuge in Wallace Street, Macksville. NEXT MEETING DATE - Tuesday 27 September commencing at 2:00 pm. There being no further business the Chair then closed the meeting the time being 3:29 pm. The placement of religion sectional signs in the Council cemeteries commenced in 2009 and was a staged program of upgrade works to provide the general public with site information to enable them to identify the religious areas when looking for grave sites with the Argents Hill Cemetery being undertaken during the 2010/2011 budget year. Further upgrades are planned to install individual row markers which have deteriorated over time and in many areas are missing along with layout plans at the entry points to each cemetery. These works have not proceeded at this stage due to funds not being allocated in the annual budget and in the case of Nambucca Heads, Macksville and Bowraville any such signs will not be considered until expansion plans are finalised. The Argents Hill Cemetery is divided into two (2) separately fenced areas which are divided by an access road to a farm dwelling and are accessed either from North Arm Road or the internal property access road. Since the installation of the sectional signs at the Argents Hill Cemetery, Council has received objections from two (2) families who have family members buried in the Argents Hill Cemetery and who where unaware of the religious areas when the family members where buried. In both cases, the deceased where not intended to be buried in any specific religious section of the cemetery. There is no legislation or guideline which controls where a person can or cannot be buried within a public cemetery. Such decision rests with the family and the undertaker when the funeral arrangements are being made. 1????????? That Council remove the individual sectional signs from within the Argents Hill Cemetery. 2????????? That the two families who have made submissions to Council in relation to the signage, be advised of Council?s decision. It is common practice to place religious denominational sectional signs and row markers in public cemeteries to assist with the location of buried people and to assist with family members undertaking family or historical searches. The designated areas within cemeteries were originally created and administered by the religious trustees prior to cemeteries being handed to Local Government in the late 1960?s. Prior to erecting the signs at Argents Hill Cemetery there was no consultation with any specific religious groups, and the Maps held by Council were used as the basis for the location of the various religious sectional signs. The design, size and colours of the sectional signs are the same for all cemeteries within the shire. The site selection and placement of the signs within each cemetery has been undertaken by Environment and Planning Department staff to ensure they did not impeded access for undertaker?s vehicles, grave digging equipment and maintenance equipment whilst trying not to encroach on individual grave sites. The purpose of the positioning of signage at the cemeteries is to minimise time taken to identify the correct location for burials to prevent any future incidents of people being unaware of the religious sections within the existing cemetery areas. Should council decide to remove the sectional signs these can be used in the larger cemeteries to define the sectional areas where they are separated by internal roads. One of the submissions also made comment on the new gates installed at the cemetery as they are new galvanised gates and do not have the rusted iron appearance as the previous ones. The new gates are very operational and provide a single pedestrian access and double vehicular access similar to the old gates. Time will no doubt bring about a rustic look. Were consulted prior to this report being prepared. The families have also been invited to address Council.? There are no environmental impacts associated with any discussion made in relation to this matter. There are no social impacts associated with outcomes from this report. There is no economic impact associated with the matters associated with this report. There is no risk associated with any outcomes from this report. There will be a cost associated with any further actions to either remove existing signs or provide any other form of signage at the cemetery. The Roads and Traffic Authority has recently advised that there have been some recent developments that aim to facilitate improved access for road freight vehicles in NSW. There have been considerable issues associated with the introduction of Higher Mass Limits (HML) into Local Government Areas (LGA) across NSW.? In early 2010 a ?Last Mile Sub Committee? was established with members from the Local Government and Shires Association (LGSA) Institute Public Works and Engineers Association (IPWEA) Roads and Traffic Authority (RTA) and transport industry.? Its role was to improve productivity in road freight transport by facilitating improved access for road freight vehicles. A key outcome from the sub committee recognised that the RTA needs to work in partnership with councils to address the issues associated with road freight as it moves from an RTA State road to the local Council road networks. A key outcome from the sub committee is the recognition that the RTA need to work in partnership with Councils to address the issues associated with road freight as it moves from RTA State roads to local Council roads with particular emphasis placed on the introduction of Higher Mass Limits (HML) for road freight. Since October 2010 staff from the RTA?s freight Branch have been involved in eight meetings with personnel from 112 Councils regarding freight issues on Council roads.? (Nambucca Shire Council has not been involved with this to date).? The meetings have raised a number of issues about freight transport with one particular area being HML. A Metropolitan Last Mile subgroup has been recently established with council representatives, industry, RTA and Transport to look at the road freight access issues in the Greater Metropolitan Region.? Currently, the RTA is working with some Councils in the region to define road freight hierarchies and identify candidate HML local roads that would remove the ?First Mile/Last Mile? constraint. A number of councils have been active in assessing and where appropriate approving routes that enable end to end road freight transport within their local government areas.? In the livestock area, the number of routes to the top 30 livestock centres approved for 4.6m height operation has increased from 40 to all 108 routes in a year, and for HML from 8 to 41 routes.? For grain transport, an additional 65 approvals for larger combination vehicles and 71 approved for HML access.? These Council actions have improved road freight productivity and enhance the competitive advantage of the local businesses that rely on these routes and these in turn will benefit regional economies. The RTA completed assessments of all its 5071 bridges at the end of 2010 and identified 253 bridges as unsuitable for HML loading by B-Doubles (156 located on State roads and 87 on other roads).? As a result of this statewide perspective for the State Road Network, the ?HML Approved Zone? which covered about 85% of the State, was abolished and since July 2011 all NSW is now considered as ?HML Eligible?.